The purpose of the Mini Plan is to provide a clear path for working toward long-term goals – typically retirement and education. Emphasis is placed on balancing current lifestyle needs with debt reduction, asset and survivor protection, and long-term goal planning. Fee includes online access to eMoney and two financial planning meetings during the first twelve (12) months of our association, commencing with the date of the signed agreement. The advisor does not have discretionary authority. The purpose of the Retirement and Income Distribution plan is to give clients clarity on whether and when they will have enough financial assets and income to make work optional. If the client is already retired, the plan will provide guidance on a sustainable level of spending. Consideration will be given to tax efficiency and optimal timing for various income sources, including Social Security, pensions, life insurance cash values and IRA distributions. Long-term care planning and estate planning will be emphasized. Plan will include up to three different scenarios regarding retirement timing, downsizing/relocation, etc. Fee includes online access to eMoney and three financial planning meetings during the first twelve (12) months of our association, commencing with the date of the signed agreement. The advisor does not have discretionary authority. The purpose of the Comprehensive Wealth Management Plan is to help high-net-worth individuals make the most of their financial resources. 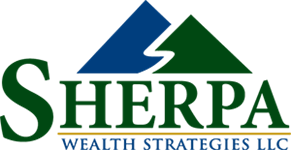 Beyond the basics of financial and retirement planning, the Comprehensive Wealth Management Plan may address issues such as business transition/succession, intergenerational wealth transfer and charitable planning. The fee is determined by the level of complexity and time estimated to adequately prepare the plan. Fee includes online access to eMoney and all meetings for the first twelve (12) months of our association, commencing with the date of the signed agreement. The advisor does not have discretionary authority. Call us anytime with questions, 541-633-7728. Take the next step. Fill out the form below and we will set up a phone call with you.